Welcome to Nonsense Kids!! The home of Bubble U! A complete course in Bubble Entertainment! Click Here to Enrol Now!! 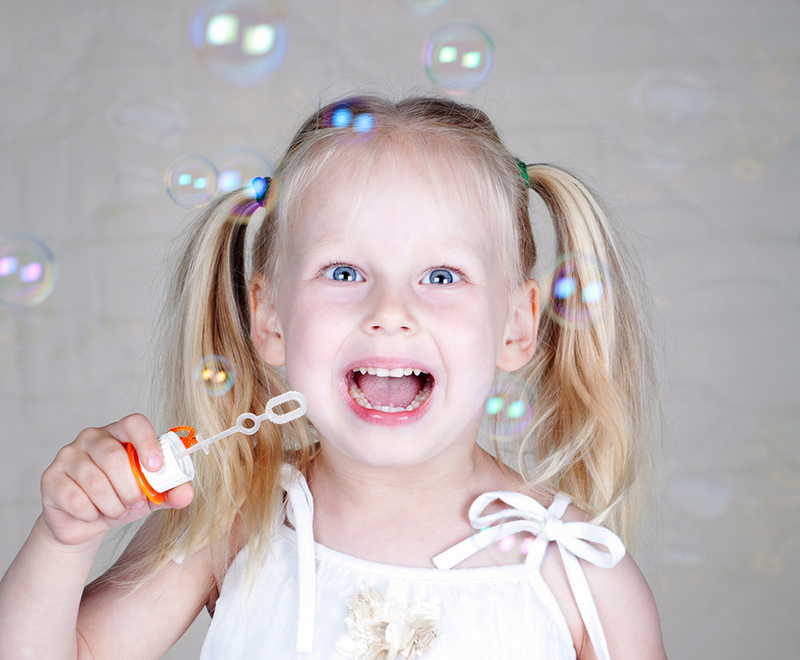 This course is designed to get you on the road to performing a bubble show of your very own. Bubble performances are highly interactive mind-blowing spectacles of seemingly impossible feats with just soap. 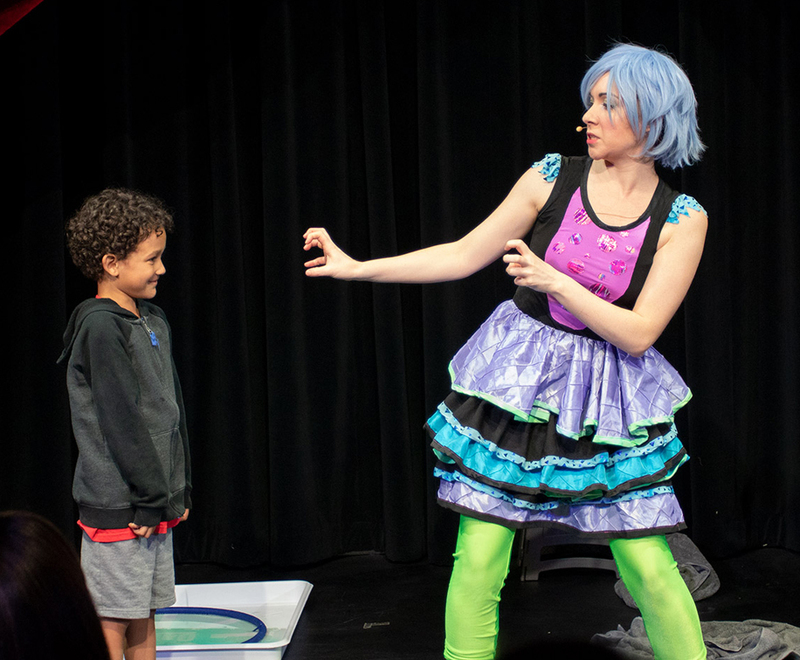 Bubble shows are whimsical, engaging, and even amaze adults with how much is actually possible. 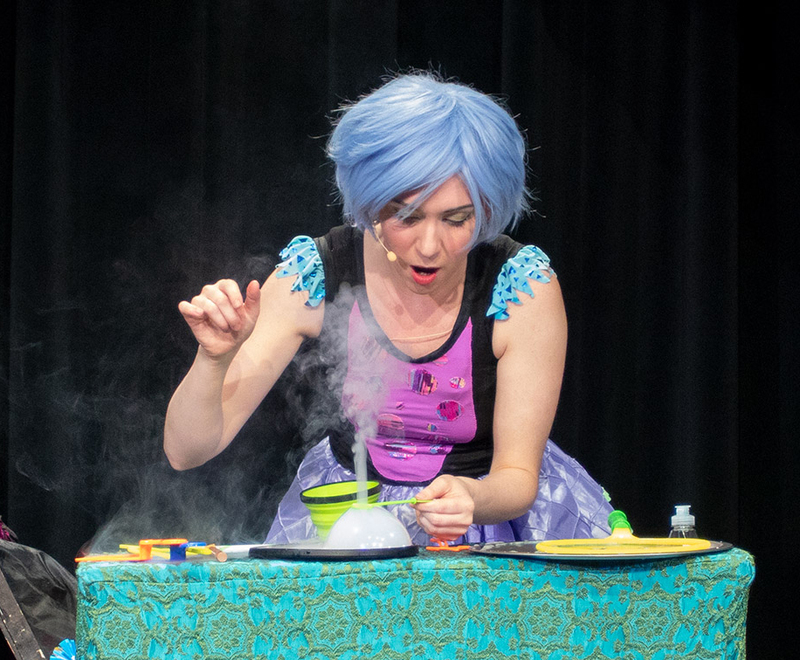 Your new show will satisfies educators and parents by teaching the real-world science of air pressure, surface tension and shapes while being a playful laugh-a-minute performance everyone will love. Learn how you can stack, sculpt, penetrate and stretch bubbles with a little practice and the help of our clear and focused instructional video series. 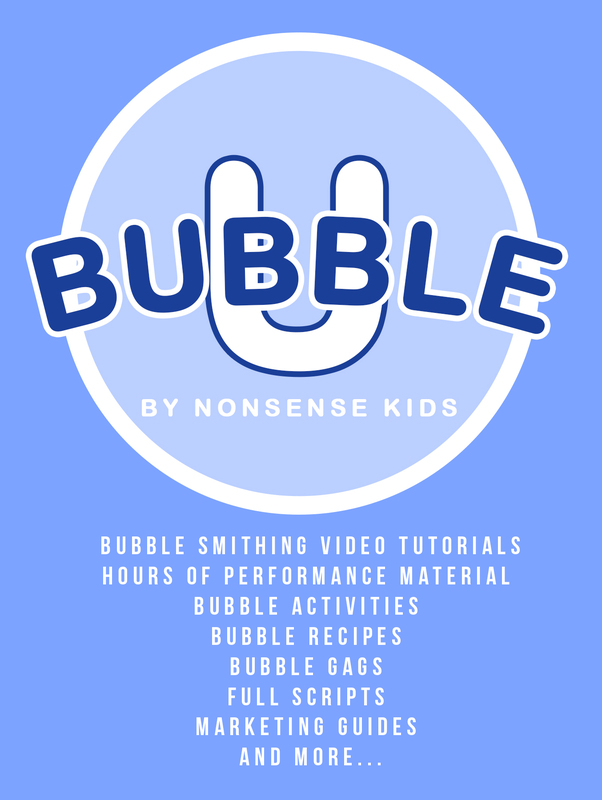 We’re here to teach you everything you need to know, skills that bubble expert Carisa Hendrix has created and learned over the past 8 years of performing hundreds of bubble shows all over the world. As time goes on, we’ll be adding more and more instructional and performance videos. As we go these videos will be influenced by the goals and desires of the bubble U community. So let us know what you’d like, our forum is a wonderful place to chat, ask questions and be a part of this continually growing resource! "I must say that this show was full of surprises from start to finish!...Throughout the show, DeeDee displayed her mastery of bubbles and we even learned some of the science of bubbles along the way"
Magician and Bubble Artist, Carisa Hendrix, is a 5-time Award Winning Entertainer featured in the Guinness Book of World Records (2014) and Ripley’s Believe it or Not (2015). 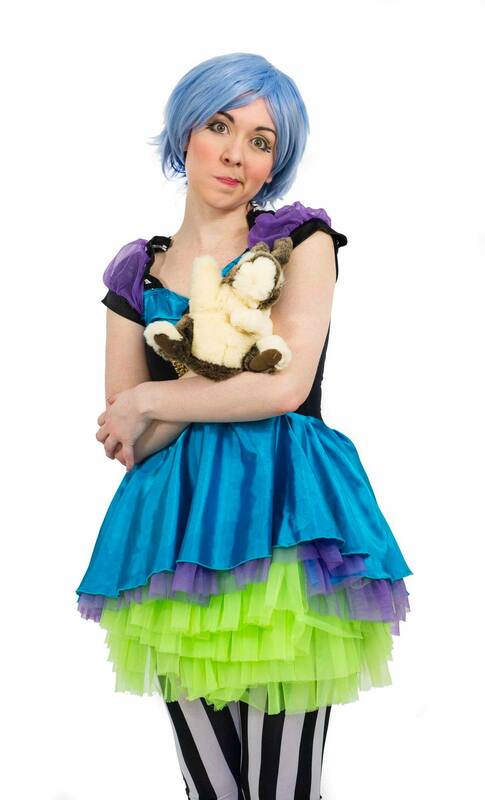 She has been wowing crowds of kids and adults alike with bubble for 8 years and has taken her unique comedy bubble show all over Canada the USA and Australia. Best known for her lovable comedy magic characters Lucy Darling and Dee Dee Darling, Hendrix has been using her background in theatre and visual art combined with the variety arts to thrilling audiences internationally for the past 15 years with her signature blend of classy, sassy comedy entertainment. 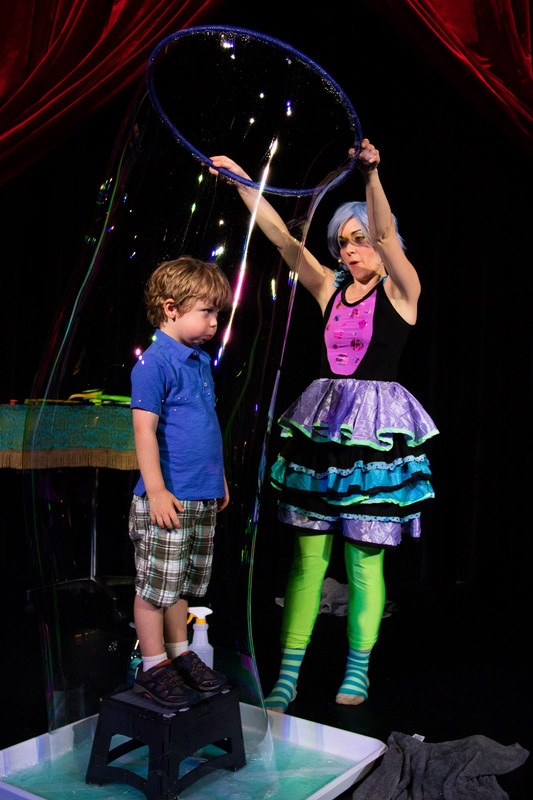 Over the past years Carisa Hendrix has taught her bubble show to hundreds of people in 3 countires as part of several sucesful lecture tours. Join us as we take you on a journey from bubble novice to bubble pro. Having seen Carisa's Bubble Show several times I can assure you it goes way beyond simply making the bubbles.